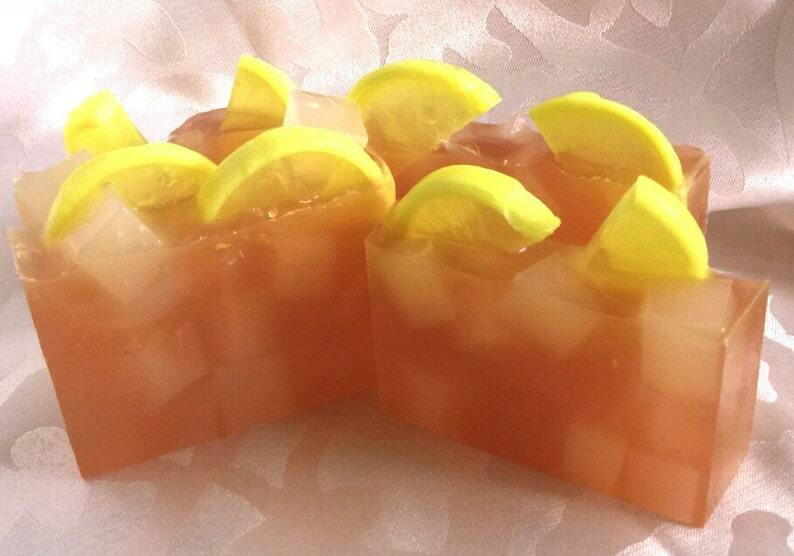 If you love iced tea, this is the soap for you. The scent smells just like a tall glass of cold tea with a hint of lemon from the slices on top. The soap is SLS free and the fragrances are phthalate and nitro musk free. Great for sensitive skin issues. I am all about pure, natural and organic so you can trust my products. No weird chemicals and cheap fillers. I only use the best ingredients that benefit your skin. Please note that since these are made in small batches there may be variances in color and design from the picture.